On the show today is Alan Mandell, an actor and director, and he’s also been a general manager of multiple theatres. He’s considered one of the leading interpreters of Samuel Beckett’s work, and he even collaborated directly with the playwright several times! Alan and Barry McGovern in Beckett’s ENDGAME, directed by Alan. Photo by Craig Schwartz. His career has spanned over seven decades, which is just unbelievable, and has taken him all over the globe. We could have easily called this episode A Life In the Theatre, because that’s truly what Alan has done! And as a bonus, he’s the second nonagenarian on the show (along with episode 17’s Robert Goldsby). Plus, Alan continues to work from time to time in his 90s! Way to go! Now, I first became aware of Alan’s work when he played the servant Firs in a production of The Cherry Orchard in LA. But it was when he soon after did the play Trying, directed by Cameron Watson and with Rebecca Mozo, that I was just blown away by his work. We talk a bit about that show, as it absolutely left an impression on me! 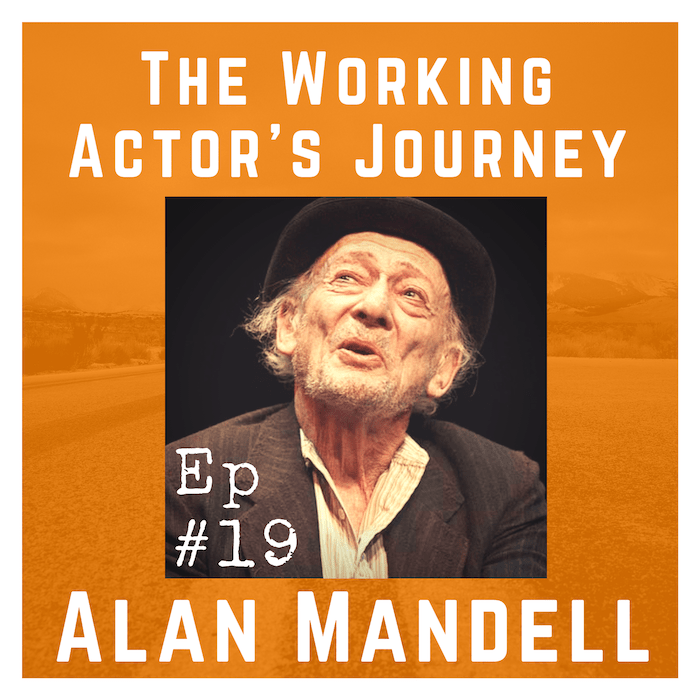 Because of Alan’s long history of work, his collaborations with Samuel Beckett, teaching acting to prisoners, and so much more, I am truly honored that he could be a part of this podcast. It was really fascinating to hear all about Alan’s career—his story is a combination of being in the right place at the right time, and being willing to do whatever it took to make theatre happen, which is such a great attitude! Plus a whole lot more, and Alan also shares some direct acting notes from Samuel Beckett himself on Waiting for Godot, so don’t miss that! 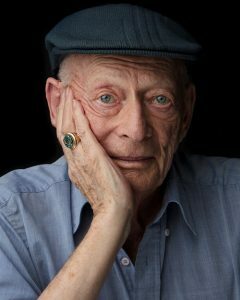 Alan Mandell was born in Toronto, Ontario, and became involved with all kinds of roles in radio and theatre in Canada. Through a series of fortunate events, he became part of The Actor’s Workshop in the 50s in San Francisco, which really helped launch his career in the US, and introduced him to the works of (and person!) Samuel Beckett. He was co-founder of the San Quentin Drama Workshop at the prison with the inmates. 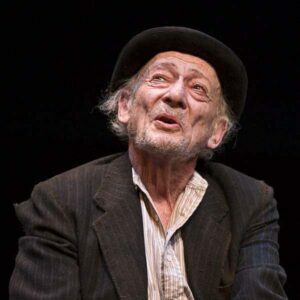 He toured Europe with the original stage productions of Beckett’s Waiting for Godot and Endgame and recreated Beckett’s direction for the filming of Endgame in which he played the role of Nagg (you can see a clip below!). 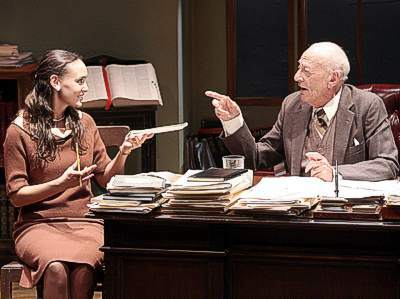 He was general manager for both the Actor’s Workshop and the Repertory Theatre of Lincoln Center, working with dozens of fantastic actors and directors over the years, including several times with Philip Bosco, whom we paid tribute to earlier this season. He was also the Consulting Director for the Los Angeles Actors’ Theatre and the Los Angeles Theater Center. Alan appeared in the Broadway revival of Twelve Angry Men and the subsequent national tour. 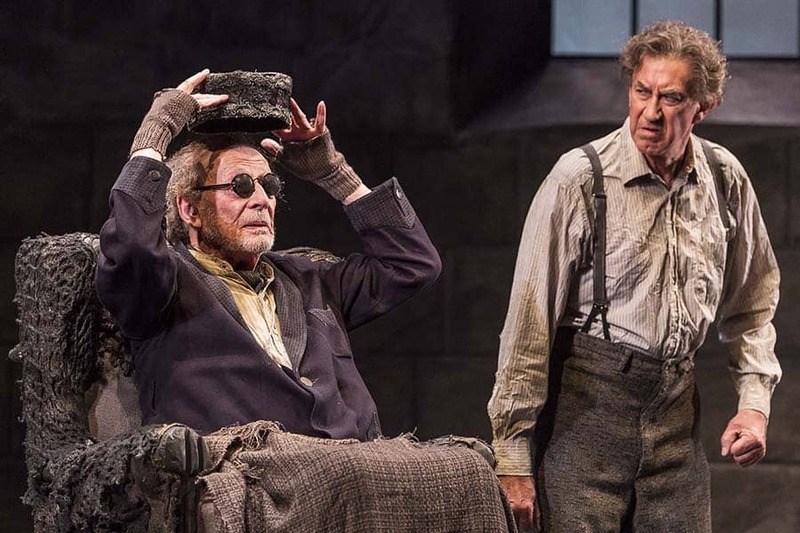 Showing no signs of slowing down in his 80s, he acted in Pinter’s The Price, Beckett’s Waiting for Godot, and then directed and acted in Beckett’s Endgame—all at the Mark Taper Forum in LA. Alan was the recipient of LA Weekly’s first Lifetime Achievement Award. He has won four LA Ovation Awards, for Trying, Pinter’s The Price and No Man’s Land and Beckett’s Waiting for Godot, and he was nominated for directing Endgame. Alan also won the LA Drama Critics Circle Award for his performances in Trying and Waiting for Godot. He has over 30 film and TV credits over the last 45 years, including John Cameron Mitchell’s films Hedwig and the Angry Inch and Shortbus, and appearing in The Coen Brothers’ film, A Serious Man. He was even in the 2019 Netflix film Velvet Buzzsaw with Jake Gyllenhaal, as the painter whose work fuels the story—he’s still working in his 90s! Alan has had truly a remarkable career and it’s wonderful to see him still so involved with theatre and acting—something we can all hope for after so many decades! Please enjoy my chat with Alan Mandell! Want to hear from another actor/director who worked in the Bay Area? Check out my talk with director Robert Goldsby! How his 10-day visit turned into 9 months! Alan’s Acting Demo, including scenes from the 2012 Waiting for Godot, A Serious Man, the 2009 No Man’s Land, and the 2007 Trying.